There is no doubt that dieting can be challenging and stressful on your body as you struggle to fight cravings and old habits. Anyone who has been through a strict diet knows how hard it can be to avoid the food you love and cope with hunger pangs. However, scientists believe that dieting can actually make you more at risk for depression and it is best to be cautious and mindful of your mental health when cutting calories. While most dieting ads depict people who become happier as a result of their weight loss, some research indicates that the opposite may be the case for many dieters. One study found that overweight people who successfully slimmed down were twice as likely to feel lonely, sad and lethargic compared to those who stayed the same weight. 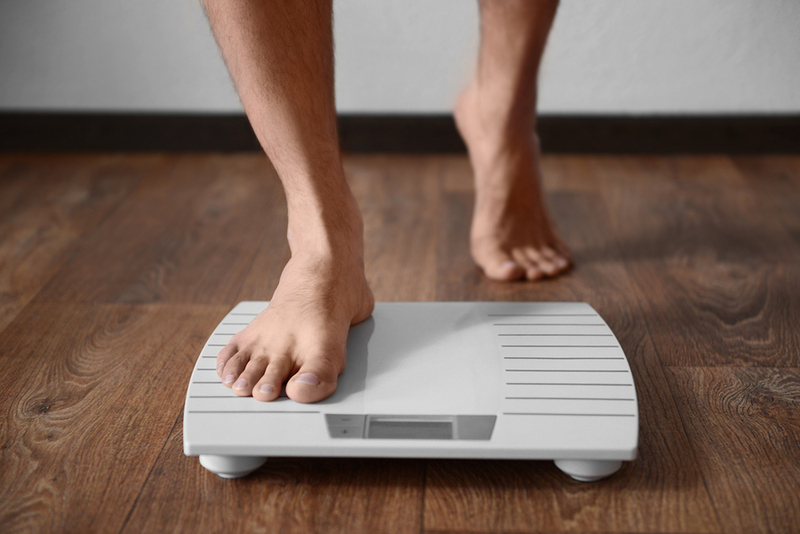 Although weight loss can have tremendous physical benefits, it can be a stressful and life-changing event that can cause symptoms of depression in some individuals. All of the self-control and willpower involved in dieting can be emotionally draining and while they might be healthier, dieters may not feel happier at least in the short term. Losing weight can be a powerful way to improve your health as long as you are careful about your methods and avoid crash diets which can cause symptoms of depression. Dieting and depression unfortunately are often linked. Even though dieting is difficult there may be other factors that can contribute to a person experiencing depression during or after their diet. In many cases they may have pre-existing issues with mental health that they have been self-medicating through food. For people that are overweight, food becomes a source of comfort in times of stress. Without access to their favorite foods they may have nothing to fall back on to ease their depression. In this case it is important to find other coping mechanisms aside from eating that can help resolve emotional problems. Many people may begin a diet believing that it will solve their issues and make them feel better only to find that their problems are still there following the weight loss. Without food as their drug they must face their depression either through treatment or private therapy. Another reason that people experience depression while dieting is due to some of the chemical changes in the brain that can occur when changing eating habits. A study with mice showed that after being fed sugary and fatty foods, the animals experienced withdrawal symptoms after the food was switched to healthier substitutes. A similar reaction occurs for people who have been eating a diet full of sugary and fatty foods for many years. When they immediately remove all of these items from their diet they can experience withdrawal symptoms that are almost similar to quitting an addiction. Higher fat diets tend to activate dopamine in the brain which is a chemical change that can also occur with drug use. Dopamine is a “feel good” chemical that causes pleasurable feelings. Suddenly taking away the dopamine produced by fatty foods can cause people to lose that pleasure and experience depression. Those quitting sugar can even have symptoms of anxiety, muscle aches and nausea. All of these symptoms are very similar to more mild drug withdrawal which tends to cause painful physical reactions and depression. The biggest danger of depression usually occurs with “crash diets” that involve overhauling your food intake and completely abstaining from any and all high fat, high sugar foods. Drastically cutting calories and making rapid changes to your diet can make you more at risk for depression especially if you are addicted to certain types of foods. The best option for dieting is to make gradual changes that are sustainable and won’t lead to serious withdrawal symptoms. Instead of changing your diet overnight you can slowly add in more healthy foods that contain important nutrients and vitamins that may have been missing from your previous eating routine. Over a long period you can begin to eliminate sugary and fatty foods a little at a time to avoid dramatically lowering dopamine levels. The good news is that a more nutritious diet can ultimately improve symptoms of depression over time and ease anxiety as well. The important thing to keep in mind is that shifting your eating habits is more difficult when you do it too quickly. Adding in foods packed with vitamins and minerals can help you adjust to new habits as you improve your health and gradually eat less junk food over a long period of time. If you have had issues with depression in the past, consult with a professional therapist so that you avoid exacerbating your mental health issues by changing your diet.